What do you do when you outscale your monitoring systems, and need to upgrade -- while keeping the lights on 24/7 around the world? This talk will walk through the ins and outs of architecting a real-time data processing architecture from the ground up in order to handle critical, high-traffic monitoring load across a distributed backend, along with several war stories of where it went well, failed horribly, and saved our bacon. Prepare for a magical mystery tour of distributed delights, diving into real-time pipeline architectures and building Go-based microservices. We'll cover how interoperability contracts, dynamic configuration and service discovery allow you to develop and operate at speed, plus how this all fits on top of a rock-solid foundation of Kafka with ElasticSearch. You'll leave armed with a toolbox of ideas to build and monitor your own microservice-based ecosystem. Jennie is a software engineer at Riot Games, where she focuses on making it easy for Riot engineers to ship and operate player-facing features for League of Legends. Her career spans Google, Microsoft and several Silicon Valley startups, where she's worn hats ranging from product manager to CTO. 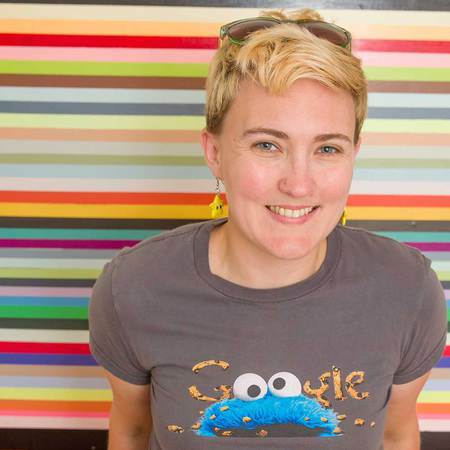 When she's not playing videogames, you'll find her helping teach people to code.